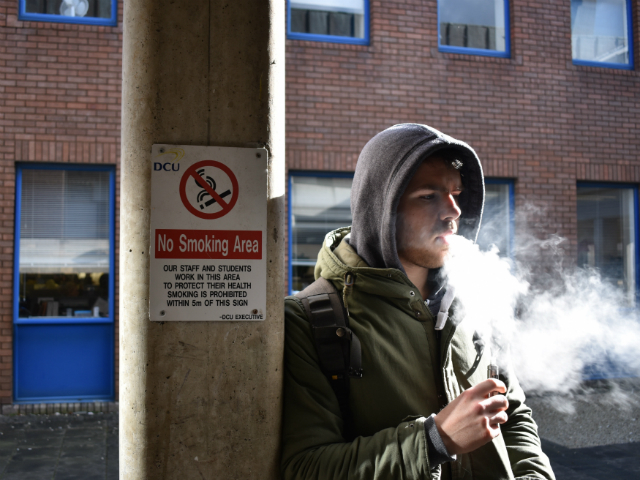 Another Irish third-level institution has announced a smoke-free campus, with DCU yet to join a number of other Irish colleges who have banned campus smoking. Several universities including UCD, Trinity, and UL have all begun the process of going tobacco-free, while Westport College, Athlone IT and most recently ITC are completely smoke-free campuses. Rory Martin, a first year in Common Entry Science and smoker said he does not see a smoking ban working in DCU. “There’s probably 50 people smoking outside the Nubar on any given Tuesday during Shite Nite, if DCU went smoke-free would every one of these people all have to leave the campus every time they wanted a cigarette?” said Martin. “It would be a massive inconvenience for the sake of very little positive impact,” he continued. Most of the smoke-free bans applied to Irish colleges also prohibit the use of e-cigarettes and vapes. The HSE said it also has concerns about e-cigarettes and has no plans to review their vaping policies in the near future. However, some argue that e-cigarettes should be prescribed by doctors as a medical means of quitting; a Public Health England (PHE) report published in February found that e-cigarettes could be contributing to over 20,000 successful ‘new quits’ a year. The HSE said in a statement following the PHE study that “there is a lack of research in relation to the long-term health effects of e-cigarettes and a lack of sufficient evidence that they aid with smoking cessation”.